Free Shipping Included! Dianova FNPRK Prk-Police Rescue Tanto Tactical Folding Knives by Dianova at Blog Free Here. MPN: FNPRK. Hurry! Limited time offer. Offer valid only while supplies last. This gorgeous PRK-Police Rescue Tanto has the finest details and highest quality you will find anywhere! PRK-Police Rescue Tanto is truly remarkable. This gorgeous PRK-Police Rescue Tanto has the finest details and highest quality you will find anywhere! PRK-Police Rescue Tanto is truly remarkable. Product Details: • Condition: Brand New • Item SKU: SS-BRK-FNPRK • Information: 8 1/4" overall. 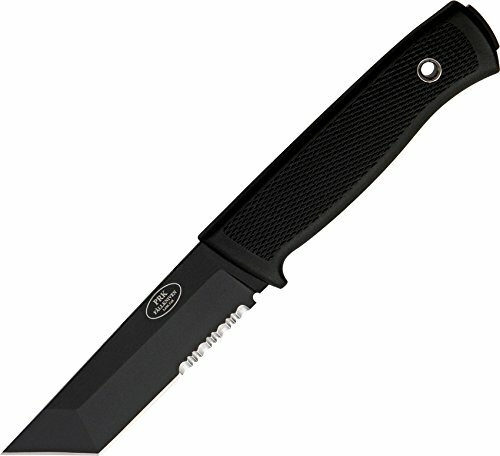 3 3/4" black finish laminate CoS stainless partially serrated tanto blade. Textured black Thermorun handle with visible tang end and lanyard hole. Molded black Zytel belt sheath.